Beilock examines how attention and working memory guide human performance, how experience and practice and brain development interact to create our abilities, and how stress affects all these factors. McGonigal's TED talk on the subject has already received more than seven million views. Her message resonates with people who know they can't eliminate the stress in their lives and want to learn to take advantage of it. The Upside of Stress is not a guide to getting rid of stress but a guide to getting better at stress by understanding it, embracing it, and usng it. This is the first audio book that I cannot wait to continue from where I left of. After watching her Ted Talk on stress, I was hoping that she has more work on this topic. As soon as I learned that she released an audio book, I immediately got a copy, and boy I was blown away. I was feeling like I was stuck in a rut because of fear that I couldn't handle the stresses in my life. Now that I have finished listening to this book, I can't wait to take on each day and embracing life's challenges. Kelly brings her charming humor and insightful wisdom into this work. The fact that it is narrated by Kelly adds another dimension of authenticity to it. Throughout the book, Kelly manages to effectively tell powerful stories that moved me to tears. Rarely have I read a book that changes my outlook and mindset of life. This is a gem of a book on the same par as other great works like Habits of Effectiveness by Covey. ...but this one is. maybe "life shifting" is a better way to see it. as she says, it's -not- about finding the "polyanna-esque" good in bad situations, it's about acknowledging the candle in the darkest or most stressful corridors of life because a candle isn't much but it makes a big difference in the dark. Akido--according to Wikipedia--is 'the martial arts principle or tactic of blending with an attacker's movements for the purpose of controlling their actions with minimal effort'. In this case, stress is the attacker. 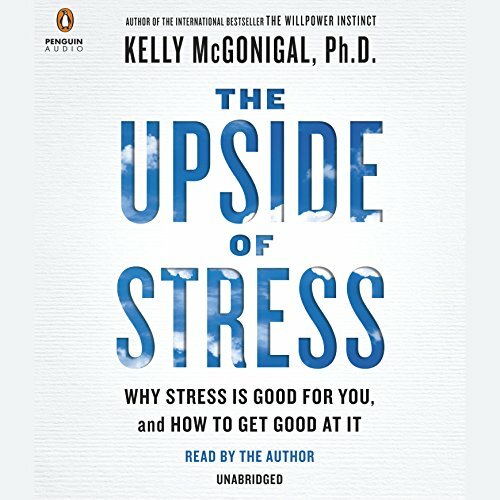 McGonigal's 'The Upside of Stress' is your akido. In this title, McGonigal states that viewing stress as an intrusion to what-would-be-our-otherwise-normal life kills people. How many of us have spent months/years/decades wishing for a particular stress to go away? Of those, how many of us have actually succeeded in that wish? 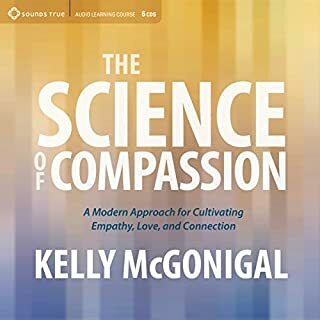 Such wishing and resisting has been proven to age a person quickly; McGonigal presents a cogent, engaging and empirical argument that all of us need to take a different (and initially non-intuitive) approach to the stresses that bind us. If McGonigal's TED talk doesn't speak to you, then perhaps spend your credit elsewhere (and be thankful for your well-balanced mindset). For me, this title was earth-shifting: I wish I would have read this book twenty years ago, but am glad that I didn't wait any longer. McGonigal's excellent self-narration adds a further degree of sincerity to the title. My roughly-edited pocket notes below for reference. - Allow the larger forces of the world to move as they do: Those would don't believe aging is bad live longer. Those who trust others live longer. - Strategies that backfire: showing smokers lung cancer photos. Shaming women for being overweight. - Stress is an overused term, ranging from the trivial to the traumatic. McGonigal's definition: stress is something that arises when something you care about is at stake. Thus, stress and meaning are irrovacably linked. - Transform your relationship with stress: rethink and embrace it. Choose to see the good in it. - Milkshake experiment: body's chemical reaction is a function of what's on the label, not what's in the milkshake. - Mock interview experiment: more positive chemical reactions for those subjects who were told that stress is good. - Placebo effects are temporary. Mindset effects are permanent. - Those who believe stress is beneficial are less depressed and more satisfied with their lives. - View stress as a challenge, not an overwhelming problem. Find meaning in difficult circumstances. - Mindsets do not correlate with optimism, the amount of stress in your life, mindfulness, or the ability to tolerate uncertainty. - Those unaccepting of stress tend to be avoidant, distract themselves, turn to alcohol. - The belief that stress is helpful is a self-fulfilling prophecy. - Three steps to stress: acknowledge it, embrace that you care about something, make use of the energy that stress gives you. - Steps to an effective intervention: learn the new point of view, do an exercise, share the idea. - View stress as flexible, not black and white. Choose the side you want. - Successful stress coping: Have hope. Make a choice. Find meaning. You are not a lab rat in an uncontrolled, meaningless and unpredictable scenario. - Stress responses: fight/flight, challenge, tend/befriend. - The stress paradox: a meaningful life is a stressful life. Higher stress yields a less depressed society. - Stress awakens the search for meaning. - The mindset that stress is an intrusion is what kills. - Understand your values, not just what is good. Create a narrative of personal adequacy. - Avoiding stress creates more stress. - You are most likely to become a victim of your own stress when you forget the context in which it arises. - Experiment: Bell Telephone employees: the healthiest took action on whatever they could, and either changed the situation or changed how the situation affected them. - Hardiness: the courage to grow and change from stress. - Experiment: practice GREs. the students with highest stress plus mindset intervention did the best. - When people are instructed they can handle stress, it works. - Experiment: videotaped speech with planted critics. Mindset intervention was better than calming intervention or distraction by video games. Experiment done with people with severe anxiety disorder. - Those with an anxiety disorder have the same physiological reaction as others, they just believe it to be higher than others. - Most people cannot choose the stress they have in their lives. You can choose how you deal with it. The one resource you always have is yourself. - Stress trigger chemicals that make you social, smart and brave. - Electing to care for others releases the same chemicals as stress. - Experiment: helping others--even the smallest gesture--alleviated time scarcity in subjects more than awarding them more time. - 'Greater than self goals' have a similar effect: define yoru job not by your skills, but by what larger purpose it serves. Personal goals are more likely to be achieved when greater-than-self goals are the focus. - We tend to underestimate others' stress (re: everyone is happy on social media). Nothing is more universal in humanity than suffering. - Make the invisible visible. Experiment: common suffering anonymous survey with a group of people. - Experiment: those most resistant to freezing water on the hand are those with the most past traumas. - Those with the least amount of stress in their history tend to catastrophize. - 'Shift and resist' - allows those with the most stress to be more healthy. - Extreme traumas: 'It's not that X is good. I just found the good in X.' Need to acknowledge both the good and bad--don't just blow sunshine. - Restorative journalism creates vicarious resilience in a community. Example: 9/11 widow who eventually adopted more children. - Stress is harmful when it isolates, creates inadequacy, and feels random/meaningless. - Create yearly stress goals that challenge and create growth, not yearly resolutions. Doctors should prescribe “The Upside of Stress” upon providing a rare disease and/or terminal illness diagnosis. 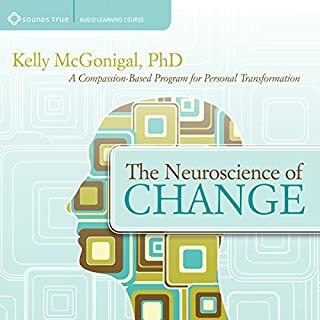 I am grateful for the mindset reset training Dr. McGonigal sets forth in her book and work. I know it makes me a healthier (both mentally and physically) better caregiver for our son, Hunter, with Type 1 Spinal Muscular Atrophy. Kelly McGonigal is fantastic. I enjoyed Willpower Instinct very much. I thought the topic of stress not quite as interesting but listened to this because I like her writing. wow did the science of stress turn out to be fascinating. McGonigal as always gives a thorough treatment of the research in a personable and compelling way. This book not only helps you turn stress into a good thing but helps you lead a more meaningful life. If you could sum up The Upside of Stress in three words, what would they be? What does Kelly McGonigal bring to the story that you wouldn’t experience if you just read the book? I always enjoy listening to the author reading their own words. I feel like I can pull up a chair in their office and listen to them tell me their story, inflecting their own emotions exactly where they felt them when first writing their book. What insight do you think you’ll apply from The Upside of Stress? I work in the high stress field of health care and the stress has really affected me over the last year or so, to the point of cutting back on the amount I work. 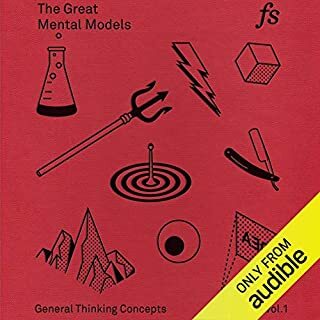 The concepts in this book can completely change the way you view stress and its effects on your life, thereby helping you seek to avoid it much less, i.e. getting me back to work (my livelihood) and helping me not hate being there! I did get a bit lost in the chapters that deal with community based stress, I suppose because I am an introvert and not very involved in my community. Perhaps in the future this will be helpful to me, but now I listened without gaining much. 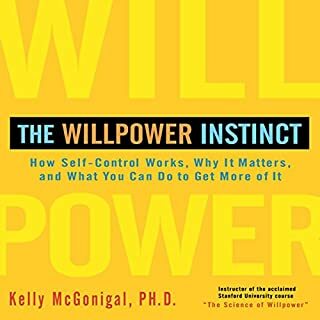 However, this book garners five stars all the way and I now have many books by Dr. McGonigal in my wish list. 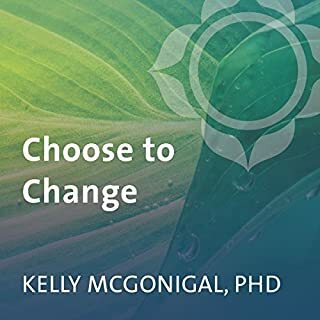 As in her other books, Kelly provides practical and insightful guidance that is based on credible research and inspires us to find meaning and purpose in our past, present and future. Almost everyone had come across stress in some shape or form. As a result there is something in this book for just about anyone. Kelly has done an incredible work once again. Prepare to look at stress in a whole new way and, the unthinkable: get the benefits out of it! Her reading is a little slow, but her tone and expressions are great. 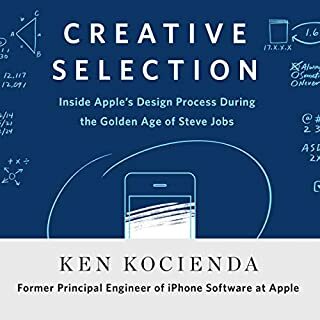 Great and interesting book- like the last one. She's incredibly almost unbelievably positive, but it's infectious.